SpaceX published a large Flickr album of space photos under Creative Commons License. The Falcon 9 rocket and Dragon spacecraft launch at Cape Canaveral on April 18, 2014. Space feels like an endless frontier, but distinctly human considerations inevitably encroach on our musings over its vastness. Can people own land on the moon? Can we harvest hydrocarbons on Titan? And who should own images of space? Because NASA is a government agency, the images it collects belong in the public domain (except for some contractor photos, though they’re still released under a Creative Commons license). The goal is to allow people to easily share and adapt space content. And now SpaceX, Elon Musk’s space-transport company, has begun posting photos in a Flickr album under the Creative Commons license. 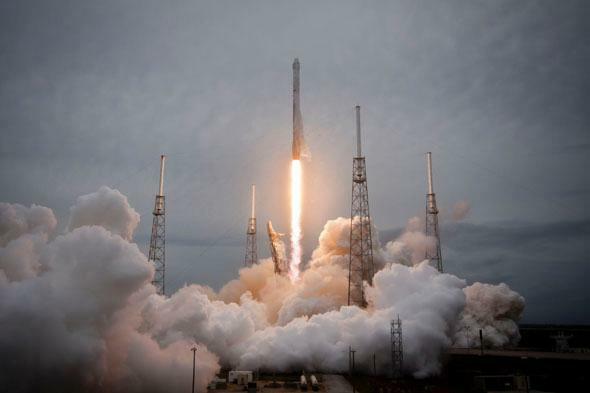 SpaceX’s decision to list its photos as “some rights reserved” means that they aren’t as limitlessly usable as NASA photos. But it’s a step in the right direction. As huge as space is, most people don’t have a lot of access to it. They should at least be able to learn from and enjoy the photos.